The 64 MW Te Uku wind farm near Raglan, a joint Meridian Energy-WEL Networks project, was delivered in March, two and a half weeks ahead of schedule despite the wettest winter since 1938. Completing the project, including construction of 26 kilometres of road in a challenging soil environment, required close cooperation with contractors, consultants and consenting authorities to optimise the civil works, minimise the construction footprint, and protect water quality. In all, the development involved 700,000 cubic metres of cut-to-fill and cut-to-waste material, 312,000 cubic metres of sub-grade and base-course stabilising and more than 220,000 tonnes of metal aggregate produced and used on site. Meridian says it was able to use its experience from its five previous wind projects to help optimise the construction flow and minimise the impact of earthworks so extensive they required a network of 180 erosion and sediment controls. Altering road alignments, optimising laydown areas and hardstands, and adopting new methods for turbine pours and erection all contributed. Use of a 600-tonne capacity narrow-wheeled crane, the largest wheeled crane in New Zealand, allowed the team to reduce road widths from 10 metres to six metres, reducing works and costs. Just-in-time delivery of turbine elements and a two-crane operation helped minimise the size of crane platforms. Soil conditioning reduced cut-to-waste, haul distances and fuel use. Flexible, active monitoring of pavement construction reduced the need for cement stabilisation, saving on materials, time and costs. Meridian says it was those types of innovations that ensured excellent consent compliance and earned the right to carry out bulk earthworks during winter, something usually forbidden by Environment Waikato. The high standard of environmental management saw the project receive the inaugural Environment Waikato Earthworks Site of the Year Award. 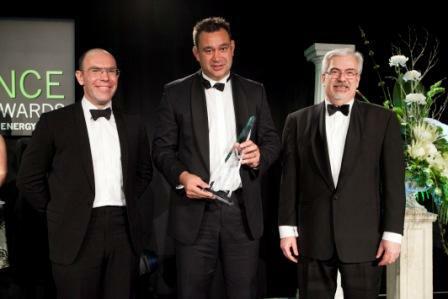 In 2011 the Environmental Excellence Award category was sponsored by PEPANZ.